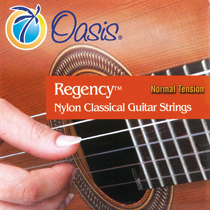 Regency™ treble classical guitar strings are made from a crystal clear nylon polymer that creates a clear, beautiful, bright sound. 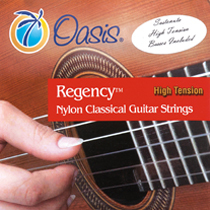 When you think of a traditional classical guitar string, our Regency™ treble strings would fit that definition. Precision manufacturing has created a string with extremely consistent diameter that you can trust—no more worrying about intonation problems! Fast and responsive, these strings come in three tensions: normal, medium-high, and high and are paired with similar tension Sostenuto™ bass strings.